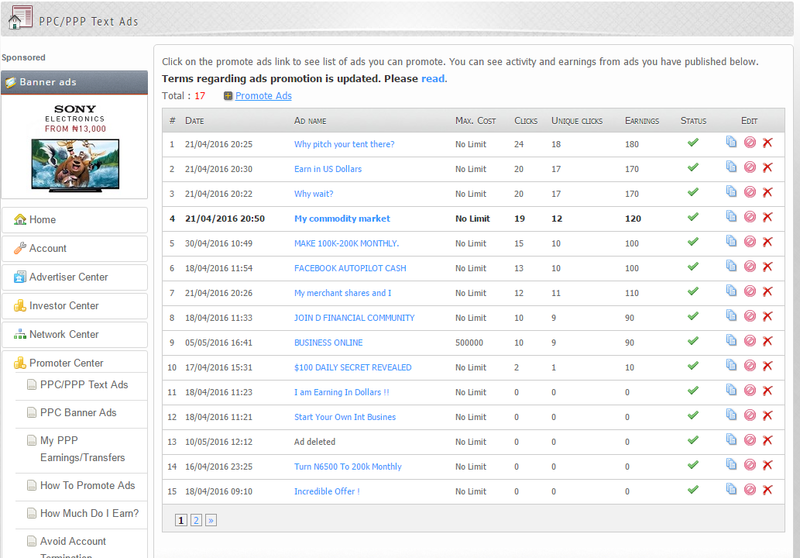 WIN means Web Income Nigeria; it is a segmented platform for Mandee Thrills Company. Other services rendered by them include digital advertising, hosting services, online marketing, online trading and so on. The WIN Network was created to teach people to start and take their business online through branding. You can equally call it a social advertising platform where you can ether advertise your business or promote other peoples businesses and make so much money. 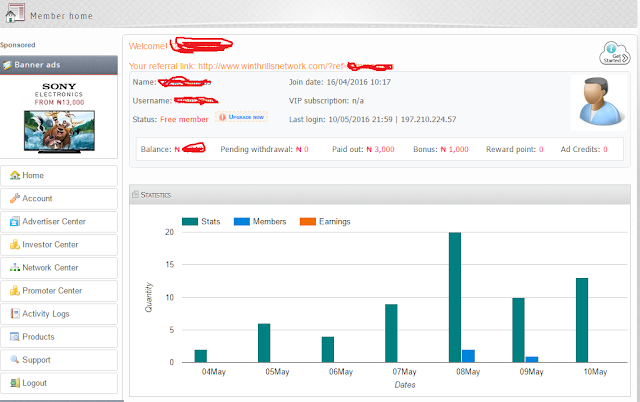 WINThrills brings together the advertisers who wish to promote products or services online and the promoters who are eager to generate revenue. WINThrills is not a scam. They provide legal services for their clients. The WINThrills business has been around for years and it is growing every day. Winthrills unlike other advertisement company uses their members to promote the adverts created by advertisers on social media platforms and pay the publishers in return. Go to: winthrillsnetwork.com or CLICK HERE on PC and register. Make sure you use a PC because it’d be easier to through navigate the pages. 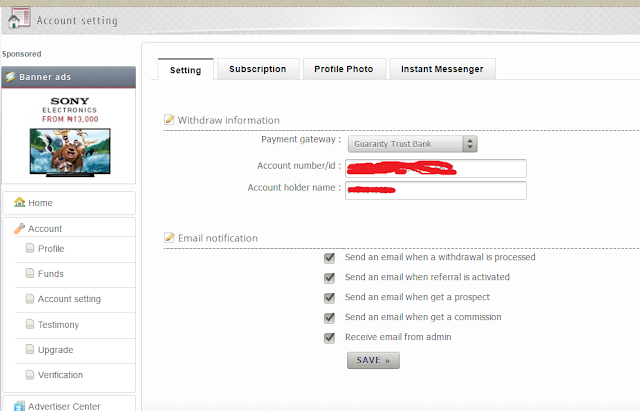 Fill your account name and account number, then save. Now, you have successfully set up your account. 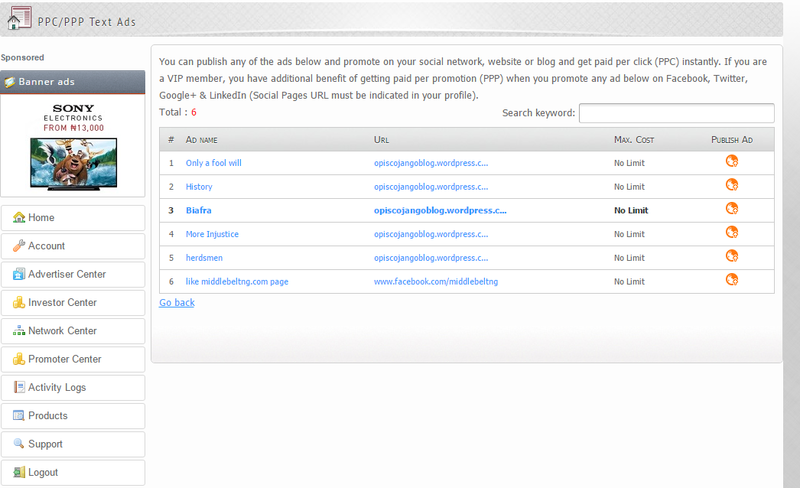 We will now look at how to generate and post ads on social media for your audience to see and click on. When they click on this ad, you make N10 per click. If you find the page empty, then it means you have to promote new ads. 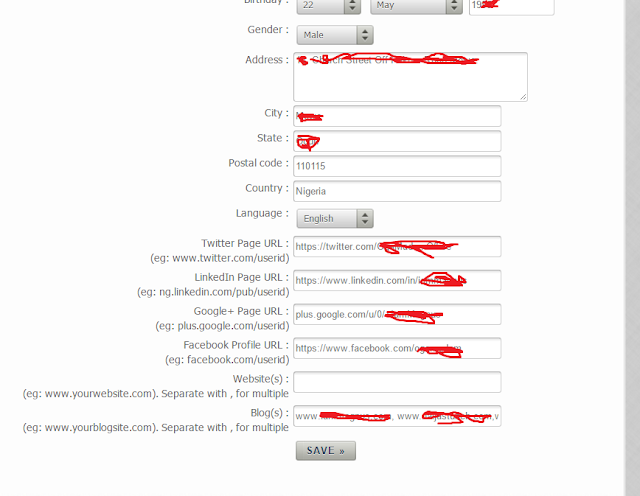 to do this, click on Promote Ads, at the top of the page. then a page like the one below will open. If you see a page like this, it means there are new ads for you to promote. If you don’t find any ads or posts here, then you need to check back later. Assuming you find new ads, like on the image above. Click on the little orange-globe under PUBLISH AD a page like the one below will pop up. Mark all the content in the text box, copy and paste on all the social media accounts you added in your Profile settings. then click on the little x to close. If you added your Facebook profile, post it on your wall like you’re updating your status. If you added a Facebook group, do the same. If you added a Facebook page, make sure you are posting as that page. Do the same for twitter and your other social media accounts. When people find these posts, they will click on it and you will earn. Do not click on your own ads, you will be banned. As in the image above, you can click on the little white-sheets under the edit option to obtain the codes of ads you’re already promoting, to re-promote them. Do not delete Ads you already promoted. 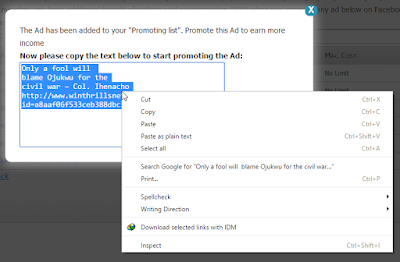 If an Ad name shows Ad deleted as in the image above, you can delete it from your promotion list by clicking on the red X. If you have any questions, leave them in the comment box. i’ll answer shortly. Click here to setup a Winthrills account for FREE.